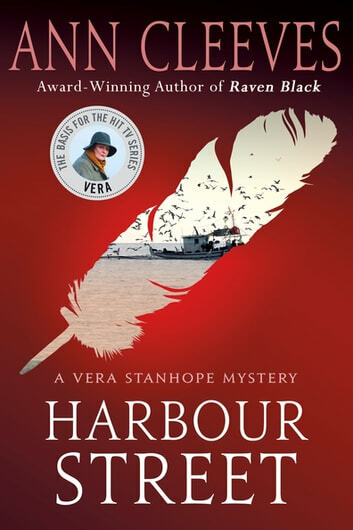 Harbour Street is the next spellbinding installment in Ann Cleeves' series of crime novels about Vera Stanhope, played in the TV detective drama VERA by Brenda Blethyn. As the snow falls thickly on Newcastle, the shouts and laughter of Christmas revelers break the muffled silence. Detective Joe Ashworth and his daughter Jessie are swept along in the jostling crowd onto the Metro. But when the train is stopped due to the bad weather, and the other passengers fade into the swirling snow, Jessie notices that one lady hasn't left the train: Margaret Krukowski has been fatally stabbed. 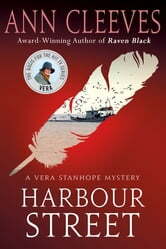 Arriving at the scene, DI Vera Stanhope is relieved to have an excuse to escape the holiday festivities. As she stands on the silent, snow-covered station platform, Vera feels a familiar buzz of anticipation, sensing that this will be a complex and unusual case. Why are the residents of Harbour Street so reluctant to speak? Told with piercing prose and a forensic eye, Ann Cleeves' gripping new novel explores what happens when a community closes ranks to protect their own-and at what point silent witnesses become complicit.